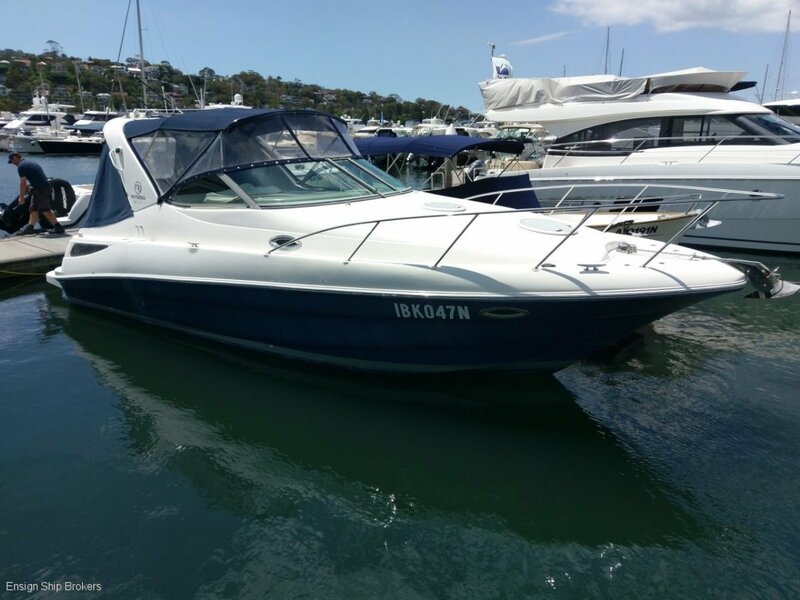 If you are looking for an entry level sports cruiser look no further. •	Presents in excellent condition. Powered by twin Mercruiser’s 4.3lt V6 engines putting out 220hp. She has a full service history with nothing spared on maintenance. leather seating in the saloon. She has an enclosed head with shower. Comfortable sleeping for 4 adults in forward and aft doubles.